Sari and Romy Lightman delivered their latest album as Tasseomancy last fall with Do Easy, and now the twin duo have mapped out a string of North American tour dates in support of the recent release. The Lightman sisters will be joined by bandmates Johnny Spence and Evan Cartwright for the upcoming jaunt, though it's not clear if album guests like Brodie West, Ryan Driver, Simone Schmidt and Alex Cowan have any plans to make appearances at the live shows. Tasseomancy will for sure be joined by the Brooklyn-based, Erin Birgy-fronted Mega Bog, though, who are billed as openers across most of the upcoming tour dates. The shows kick off in Toronto on April 29 with a special "Live in the Stacks" show at the Yorkville branch of the Toronto Public Library with Castle If, before Mega Bog links up for subsequent Canadian stops in Ottawa, Quebec City, Halifax, Fredericton and Montreal. 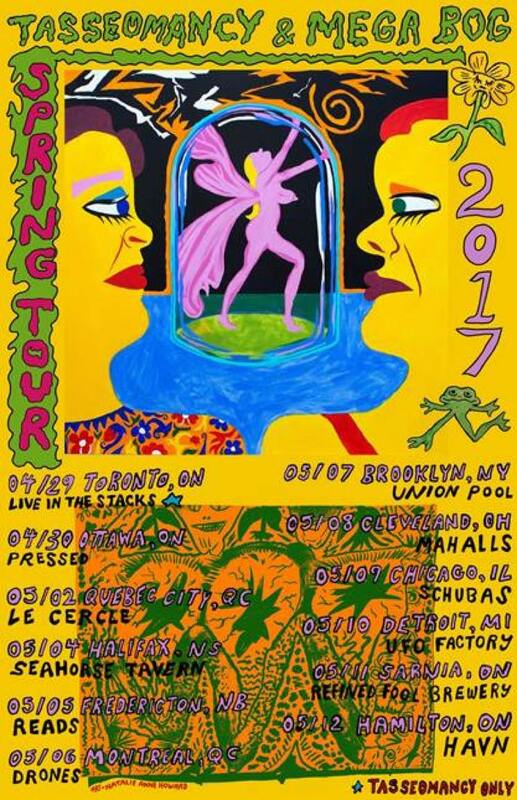 After a short dip stateside, Tasseomancy and Mega Bog will return to Ontario to close things off with shows in Sarnia and Hamilton. See the full list of upcoming gigs below.